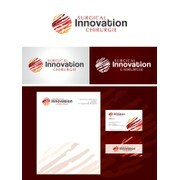 "Very good designer, we felt he had took the time to review all the comments and other logos before presenting his work. The design was exactly what we envision. Work well, quickly and very responsive. " "nongski is really talented and really easy to work with! We love the logo he designed for us. It's simple, powerful and also gives people an impression of traditional korean concept. It got everything we need! Thank you again for the great design!" "nongski_nanu326 put together multiple great designs, responded well to feedback, and was great throughout the whole handover process. "